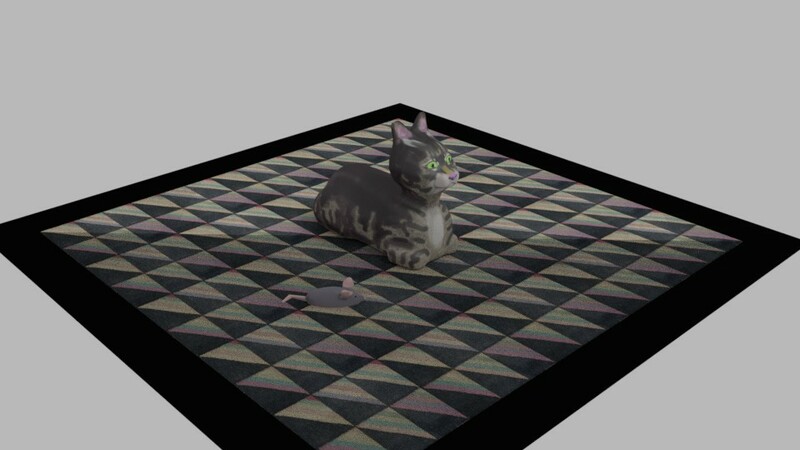 3D tabbers and mouse. I have to work on whiskers, I’m afraid, Next comes hair, which will be spooky. This is the rug I have in my hallway.